I love frittatas. They taste great, they are quick and easy to make, they have an incredibly versatile taste profile based on which ingredients you add, and almost everyone loves them! 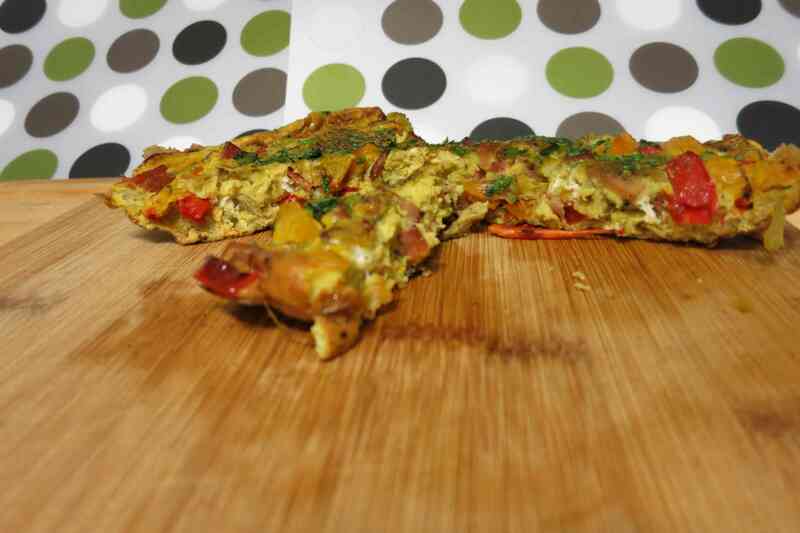 Besides, if nothing else “Frittata” is just an awesome name! Several sprigs of cilantro, finely chopped. Preheat the oven to the broil setting, or as close to 500 as your oven gets. While your oven is heating up, beat the eggs in a mixing bowl, adding a pinch of salt and pepper (as desired). Now heat up an oven-safe fry pan on the stove top, and melt some coconut oil in the pan. Slice the peppers and celery and add them to the fry pan first, then chop and add the ham. Saute the veggies and ham in the coconut oil for about 3 minutes on a medium-low heat (3-4 on a 10 scale), making certain to get them well coated with the coconut oil, and softened by the heat. Add other suggestions in the comments area! Pour the egg mixture in to the pan, stirring vigorously to ensure the veggies and ham are well mixed in to the eggs. Now leave this alone for 4 minutes, or until the egg has set fully on the bottom of the pan, and starts to firm up on the top of the pan. For reference: there should still be a bit of liquid egg on top of the frittata. Now sprinkle the chopped parsley across the top of the frittata, making sure there is an even coverage of parsley. Place the pan in the oven to broil for about 3 to 4 minutes. Keep a close eye on this after 3 minutes, because it doesn’t take long. It is ready as soon as the top starts to brown and crisp. Make sure to check regularly, because you don’t want this to overcook. 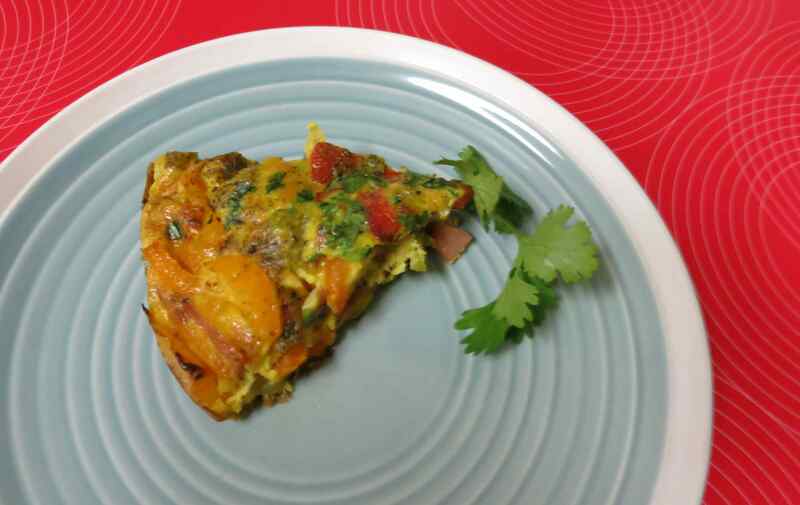 This is a great main-dish for breakfast or lunch (or brunch) and can be served with a side of bacon (if you didn’t use the bacon in the frittata) or some sauteed veggies. If you want this with dinner, I would suggest using smaller portions for the frittata, and serving it alongside a strong entree, like steak, so that it doesn’t overpower the entree. Also, try and make sure that this is served hot. It’s best hot, and cools down quickly, so your diners should be ready for food when this is put in the oven. As an aside: This is a great meal to cook up on Sunday for lunches for Monday and Tuesday. It keeps well, and still tastes great when eaten cold. 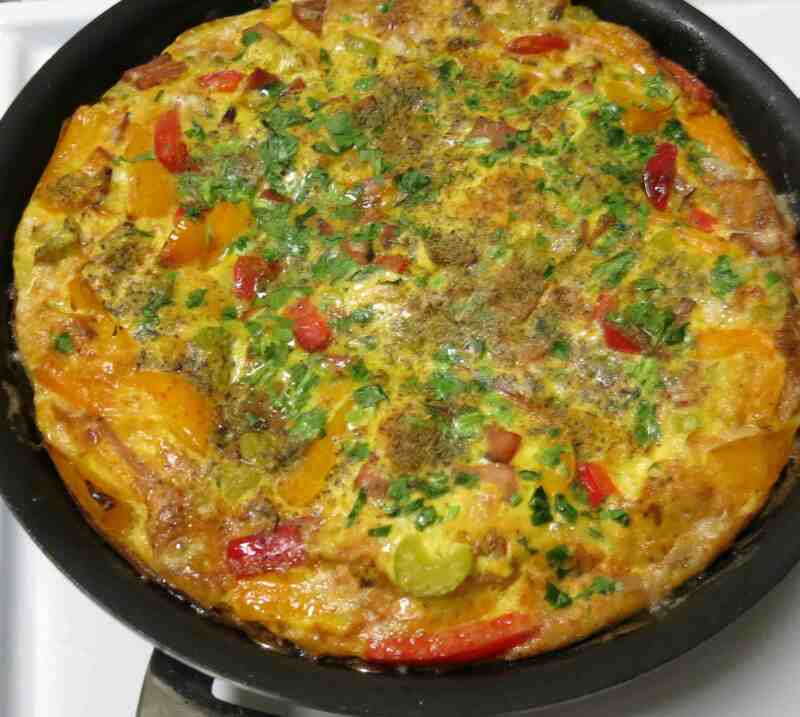 Please share how you made your frittata in the comments section! Definitely! They’re quick, easy, versatile, and delicious! And best of all: they keep really well! ← Did You Overdo It A Little Last Night?